As a learning strategy, inquiry-based learning is all about learners constructing their own understanding and knowledge through asking questions. Unlike traditional learning methods that focus primarily on drills, memorization and rote learning, inquiry-based learning is essentially student-centered. It starts with posing questions and directly involves students in challenging hands-on activities that drive students to ask more questions and explore different learning paths. Edpuzzle allows you to use only what you need from any video, insert audio notes or record over a video with your voice, and add questions at any point in the video . 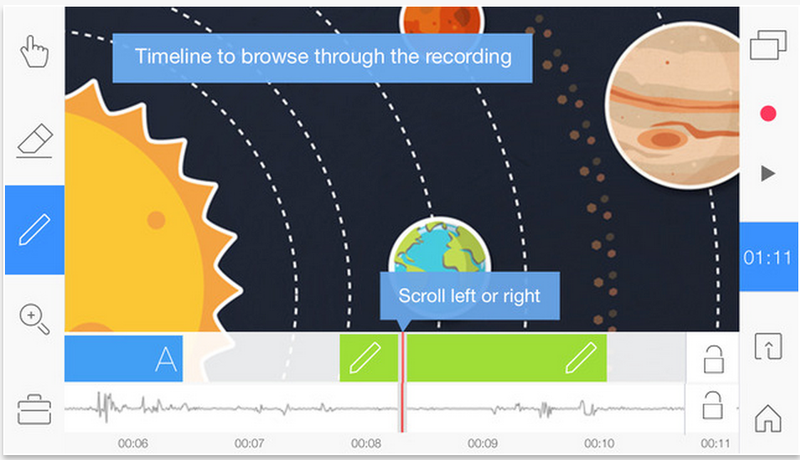 Explain Everything is an easy-to-use design, screencasting, and interactive whiteboard tool that lets you annotate, animate, narrate, import, and export almost anything to and from almost anywhere. Using Explain Everything, you will be able to create slides, draw in any color, add shapes, add text, and use a laser pointer. Rotate, move, scale, copy, paste, clone, and lock any object added to the stage.Add existing photos, objects, import PDF documents from local storage, Google Drive, Dropbox or insert a fully functioning web browser window. This is by far the most popular of them all. 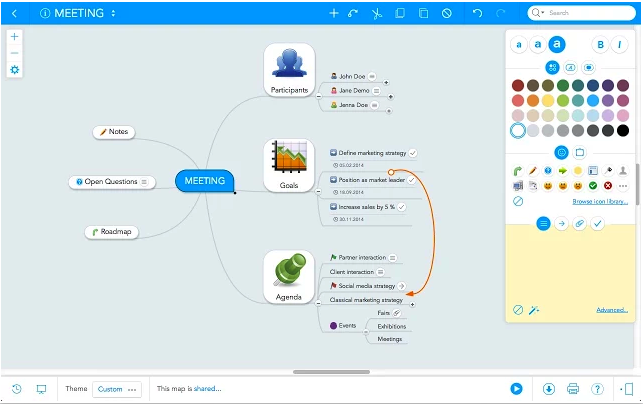 MindMeister is a very good tool students can use to create mindmaps and brainstorm complex topics. Mind maps can include a wide variety of multimedia including: text, images, icons, links, and attachments. It also supports offline editing and syncing. Mind maps can be exported to Word, PowerPoint, PDF, and in the form of an image. Amazon Storybuilder is a cloud-based writing tool from Amazon Studios that can be used to create stories . 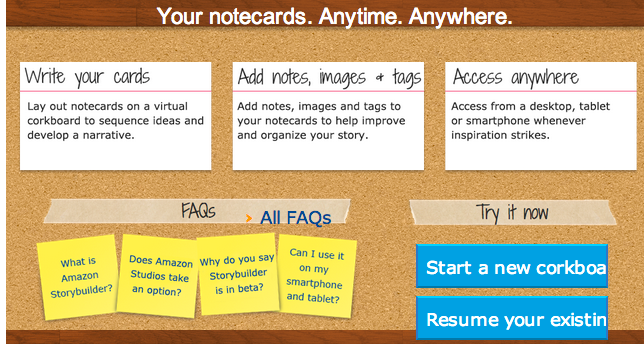 Amazon Storybuilder uses “notecards” to represent a single beat or event in a story, just as screenwriters have for years used actual physical notecards to represent story beats on corkboards around the world. Storybuilder notecards can include both text and images. You can string individual cards together into a sequence on a virtual “corkboard” to convey a narrative and tell your story. 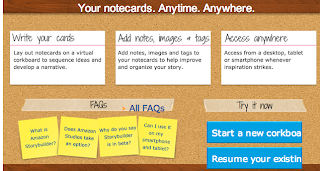 Unlike physical notecards, it is easy to share Storybuilder projects and it is easy to take them wherever you go with your laptop, phone, tablet or Kindle. Glogster is a web tool and mobile app that allows users to create free interactive posters, or Glogs. 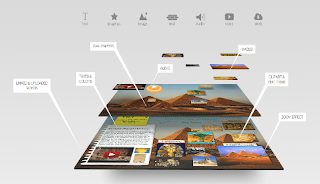 A "Glog", short for "graphics blog", is an interactive multimedia image. Glogster empowers educators and students with the technology to create online multimedia posters - with text, photos, videos, graphics, sounds, drawings, data attachments and more.